When it comes down to it, boilers can be a very effective and efficient way to heat your home, but in order to keep your system running its best, it's important to ensure that you get the regular boiler repairs and maintenance it needs to do so. 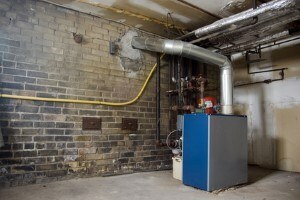 Here at The Best HVAC, our team of professional State College boiler repair experts can provide you with the comprehensive services you need to keep your boiler system running at its most effective and efficient at all times. Are you looking for a State College HVAC company to provide you with the repairs you need to keep your home's boiler in top shape at all times? If so, give our team of professionals a call today and let us show you the kind of quality service that has helped to make us a household name throughout the local area. Here at The Best HVAC, our team of professional heating contractors have the skill and experience necessary to provide you with the high quality boiler repairs you need to keep your system up and running its best, no matter how simple or complex they might be. If you have any questions about our full line of high quality boiler repair services, or if you would like to schedule an appointment for consultation with one of our specialists, give us a call today. Our team of experts are always standing by and ready to help in any way we can. Boilers are one of the least common types of heating systems in modern homes, but despite that fact, they can be remarkably efficient as long as they are well maintained. With proper maintenance and prompt and professional repairs anytime something goes wrong, your boiler system can last you for years and continue to do an excellent job of heating your home that entire time. To help maximize the lifespan of your home's boiler system, we recommend having one of our boiler repair experts come out at least once per year to administer maintenance and make sure that all of your repair needs are properly taken care of.